We'll leave the 1980's comparisons there and shall discuss a few of the smooth operators in Groovy in this blog post. Take a trip back to 1984. Apple released the Macintosh, 'The Final Battle' is about to commence in V and Scotland won the Five Nations completing a grand slam in the process. 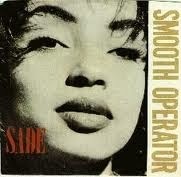 Right in the middle of miners' strike in the UK, English pop group Sade released the catchy number: Smooth Operator. It was chart success in the UK and in the US (not to mention the German, Dutch and Austrian charts). Little did Sade know that decades later the Groovy programming language would feature several smooth operators that go above and beyond the standard set of Java operators. Now, we'll leave the 1980's comparisons there and shall discuss a few of the smooth operators in Groovy in this blog post. The Elvis Operator (so named after a certain person's hairstyle) is a shortened version of the ternary operator. It is very handy for null checking. And remember even though it can be argued null handling is bad coding practise because it is better to not have nulls in your code, lots of APIs in a code base will inevitably return nulls and in the real world where you want to add some robustness and defensive coding to keep things smooth in production, this can of thing can be useful. Now here is how it works. 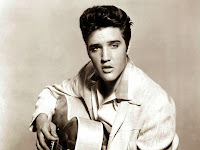 If the expression to the left of the Elvis operator evaluates to false (remember in Groovy there are several things such as null, such as an empty String which can be coerced to mean false), the result of the expression will be the whatever is on the right. String country = country.name ? : "Unknown country"
So, in the above example if country.name is null or just "" since both are false in Groovy, country will be assigned as "Unknown country". If country.name was non - false, country would just be assigned that value. location will just be set as null. So, no null pointer exception is thrown. The Spread operator is useful when executing a method on elements of a collection and collecting the result. In this example, I parse a bunch of Strings into arrays and then run a closure on each of the arrays to get all the first elements. 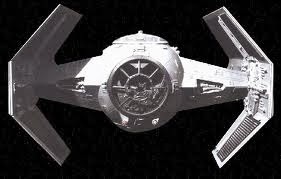 This originated in the Perl programming language and is so called because you guessed it, <=> looks like a spaceship! So how does it work? Well, it is like this. The expression on the left and the right of the spaceship operator are both evaluated. -1 will be returned if operand on left is smaller, 0 if the left and right are equal and 1 if the left is larger. It's power should become more obvious with an example. Say we have a class to represent software engineers. This expression will try to sort engineers by age first. If their ages' are equal a.age <=> b.age will return 0. In Groovy and in the Elvis construct, 0 means false and a.name <=> b.name will be then evaluated and used to determine the sort. In Groovy, when a field access is attempt, Groovy will invoke the corresponding accessor method. The Field Access operator is a mechanism to force Groovy to use field access. The Method Reference operator allows you to treat a reference to a method like a closure. The .& creates an instance of org.codehaus.groovy.runtime.MethodClosure. This can be assigned to a variable and subsequently invoked as shown. Happy New Year to you all and hopefully some more blogging in 2014.